Buying a boat is a process, a potentially long and definitely involved process. It’s the kind of process almost everyone needs some help with, in the form of a yacht sales professional — and finding one of those can be a process of its own. Fortunately for boat buyers, the California Yacht Brokers Association has put together a guide called “Purchasing a Used Boat in California.” (While California is in the title, the information is fairly universal; only two of the 13 sections apply specifically to the state.) It’s a 12-page guide that distills the yacht-buying process down to its essentials. 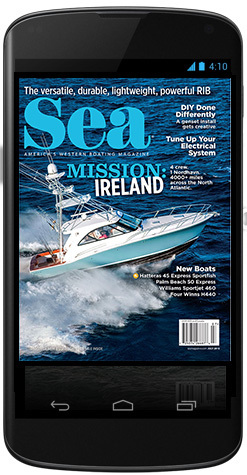 The sections of the guide include Finding the Right Boat; How Can You Prepare for Boat Ownership? ; What Does a Boat Really Cost? 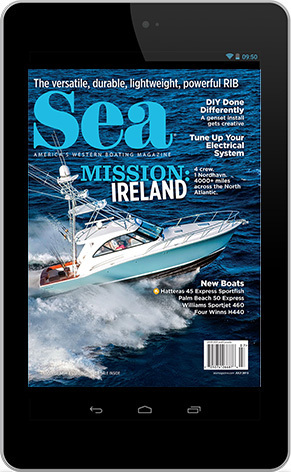 ; Choosing Your Boat; Private Party Sale; The California Yacht Broker Advantage; Your Broker can Help You Prepare for an Offer; Making an Offer; Evaluation; Acceptance, Funding and Closing; Boating Safely; More on the CYBA; and Resource Guide. 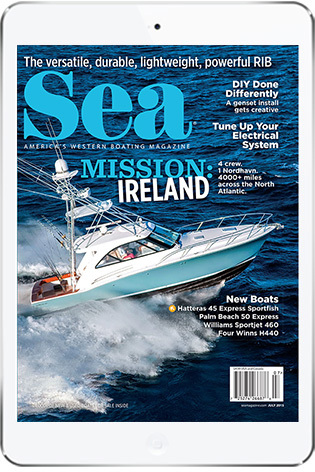 The nice thing about the guide is that it can help any prospective boat buyer formulate a plan and figure out the answers to a number of important questions — a lot of the same questions we deal with on this page every month. What’s really valuable about the guide is its ability to show buyers what they don’t know. Those are the areas where brokers can step in, fill in some blanks and put buyers on the right track toward a boat. One of the most valuable sections is the one labeled What Does a Boat Really Cost? Yes, it covers insurance, boat loans and storage/moorage, but it also touches on some of the overlooked costs of boat buying and ownership, including hiring a surveyor, making improvements, hull cleaning, washing and waxing, bottom paint and more. Making an Offer is another vital section that lists 11 pieces of information a written offer should include, but each of those 11 bullet points is likely to have nuances that brokers are attuned to. How does the boat feel? Does it fit you and your guests? Does it have the layout you require? What is the quality level? Is it the right style of boat for your needs? The document even has a Private Party Sale section that offers advice for buyers who are thinking about going it alone (an avenue we wouldn’t recommend). Visit cyba.info to find the guide. As of press time it was at the top of the homepage, front and center and available as a PDF download.